Take your NingXia Red for breakfast! NingXia Red is 25% NingXia Wolfberry puree. The puree includes the juice, pulp, and peel of the plant, which contain vitamins and minerals such as Vit C, Vit A, calcium, potassium, zinc, selenium, riboflavin (B2) and more. A puree allows you to also get fiber and protein. You need all of these things to maintain health. 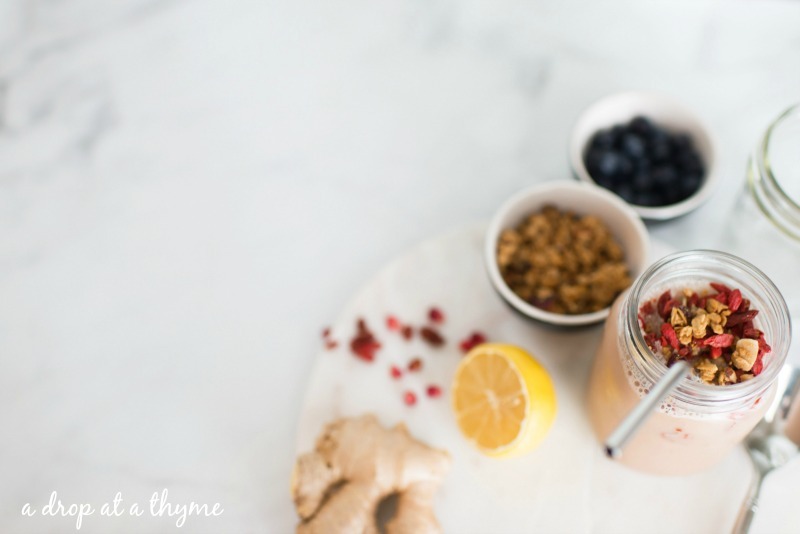 A smoothie is a great way to start your morning. It’s fast, it’s an on-the-go type of meal, and it tastes good! Here are two ways to make sure your breakfast smoothie is complete. Add an ounce or two of NingXia Red. Add two scoops of Young Living’s Protein Complete powder to make it a complete meal with 25 g of protein! Only God knows what’s best for my life and that far too often looks nothing like I thought it should. I didn’t want an only child. In fact, I’ve cried many tears over our situation and don’t know if there will ever be a day my heart doesn’t hurt a little for what I feel like she’s missing out on. I don’t know that I’ll ever stop hating that she doesn’t have a sibling to share life with. I don’t know that my heart will ever stop hurting for the baby we lost – the sibling she should have had. I don’t know that it will ever stop hurting when she has to answer with sadness if she has a sibling or not. I don’t know if I’ll ever stop wondering what could have been. But what I do know is God has a plan so much bigger than mine. As I lay praying in bed the other night God reminded me that his way is truly better. I was praying for my daughter to find a friend that will be like a sibling to her – perhaps another only child. A child whose parents will trust us to take their child on vacation with us or even a family willing to vacation alongside us. I was praying because earlier that day I saw the sadness in her eyes when her friends were talking about their siblings. But, that’s when it hit—His way is better. Two years ago when we were looking to move neighborhoods I couldn’t find a house where I wanted us to live. 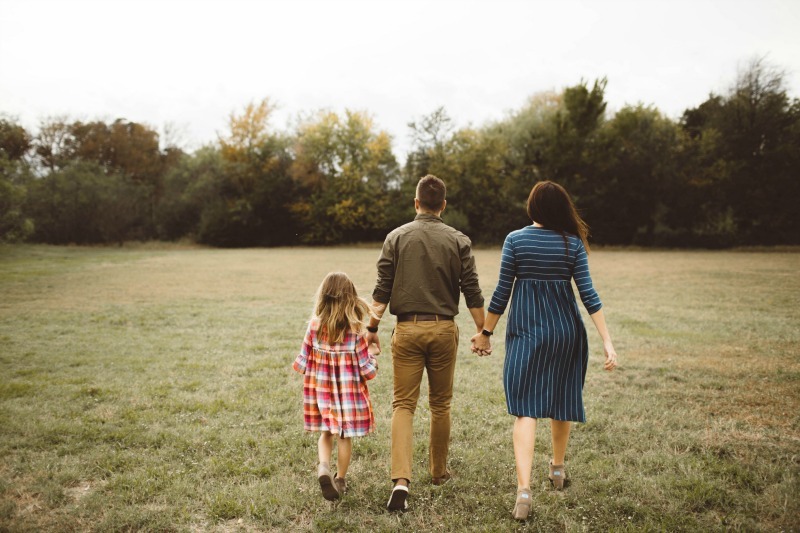 I was looking in a specific neighborhood because I wanted our daughter at a specific school. I thought about trying to transfer into that school even though we didn’t find a house in the neighborhood but decided to stay at the school we were zoned for. God knew better and I trusted that – mostly. You see our home is smaller – perfect for smaller families. Our neighborhood is made of smaller homes – also perfect for smaller families. Had my girl ended up at the other school a good chunk of her friends would have multiple siblings reminding her yet again that she’s all alone. Her friends here have siblings but a lot of them only have one and for whatever reason, that’s more bearable for my girl. I hadn’t truly seen the blessing in that until recently. His plans though they don’t always make sense to me have a greater purpose. He gets to see the end picture and I don’t. I may never know why we are only a family of three, but I trust that He is working it all for His good and His glory. I want to continue to see the blessings along the way. I want to be reminded of how the small and big details are being worked out. I want to see the small glimpses of the big picture. I want to step back from time to time and be able to truly thank him for this story of mine that HE is writing. I won’t ever truly understand it but I am thankful. This week, I am thankful that he put us in this house, on this street, in this neighborhood that feeds into our perfect school. It’s at that school that I’ve begun to make a set of friends that I don’t know would have met any other way. It’s in this school that God gave us a Kindergarten teacher that had an only daughter for many years. It’s in this school that she’s met another little girl that’s an only child. It’s in this school where she’s met friends that I hope will be like brothers for years to come. It’s on this street that we’ve met a friend whose youngest is a bit younger than her siblings making her free to join us for special outings. It’s here and right now that’s perfect for our family but only because God is writing our story. Learn to appreciate your story. Find ways to see how God is making your story a beautiful one. Do you love science? Frankincense contains 8% sesquiterpenes and 78% monoterpenes, which are known to be calming. Go do yourself a favor and google the benefits of sesquiterpenes and monoterpenes while you’re at it. 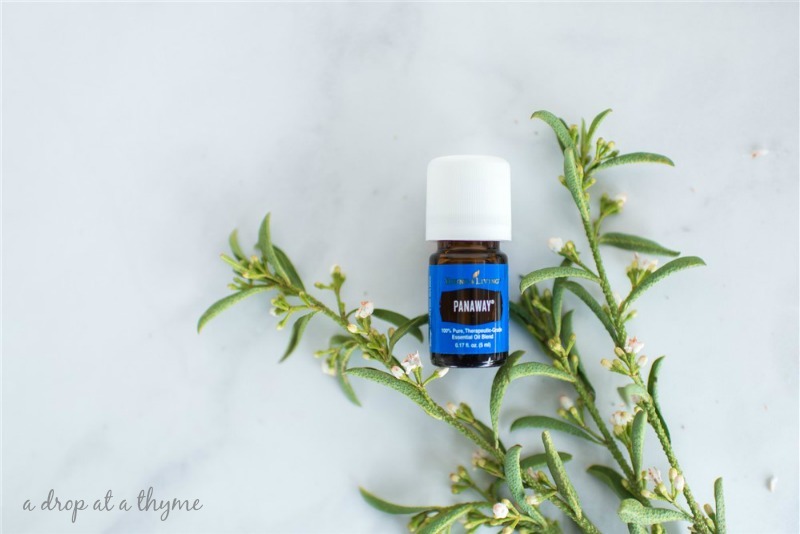 Frankincense is amazing for the skin so combine a drop of Frankincense and Lavender in your daily moisturizer and you will be amazed at the appearance of your skin. Youthful skin?! Who wouldn’t want that! 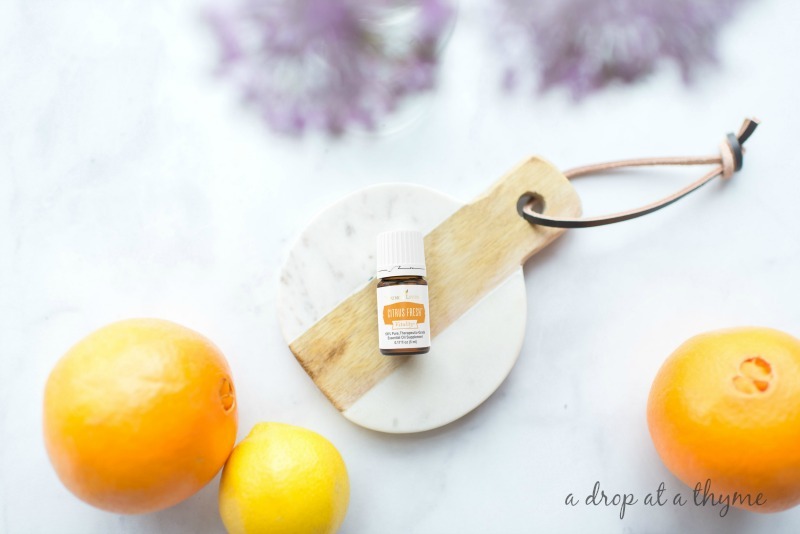 Citrus Fresh Vitality essential oil blend is a mix of Orange, Grapefruit, Mandarin, Tangerine, Lemon, and Spearmint essential oils. It can be used to add zest to chicken, salmon, and gourmet salads. I love adding a drop or two to fresh fruit dip or yogurt for added bonus flavor. Want tastier water? Add it to your water for a citrus-with-a-hint-of-mint flavor to keep you motivated to stay hydrated. Or perhaps add a drop to your Ningxia Red for even more health benefits. Citrus Fresh Vitality can also provide an internal boost with its antioxidants and cleansing properties. Have you ever used essential oils to flavor your food? If not, a little goes a long way. Raven is a cleansing blend of Ravintsara, Peppermint, Eucalyptus Radiata, and other essential oils. Raven creates a cooling sensation when applied topically to the chest and throat and is smells amazing great when being diffused. Lemon prompts physical energy, and is great over lungs. Wintergreen contains 99% methyl salicylate which makes it great to apply to chest and joints pre or post workout. Ravintsara is a cross between clove and nutmeg. Great for energy. Peppermint is soothing and cooling. Eucalyptus radiata gives you a spa like experience when used or diffused. Application: Dilute one to two drops and apply to reflex points of the body. Apply topically to lungs and throat. Diffuse or put on pillow at night. Companion Oils: Melrose, RC, Thieves. Panaway essential oil is one of ten oils in the premium starter kit. Panaway has an invigorating aroma and cooling sensation when applied to the skin. Ever get sore muscles? This is one of those that I turn to fairly often since I’m constantly sore from Camp Gladiator. It is the perfect oil for your gym bag. A blend of Wintergreen, Helichrysum, Clove & Peppermint make working out a little more bearable. Apply a few drops to lotion or coconut oil and apply to muscles and joints pre and post-exercise. Slept funny or have growing kids? 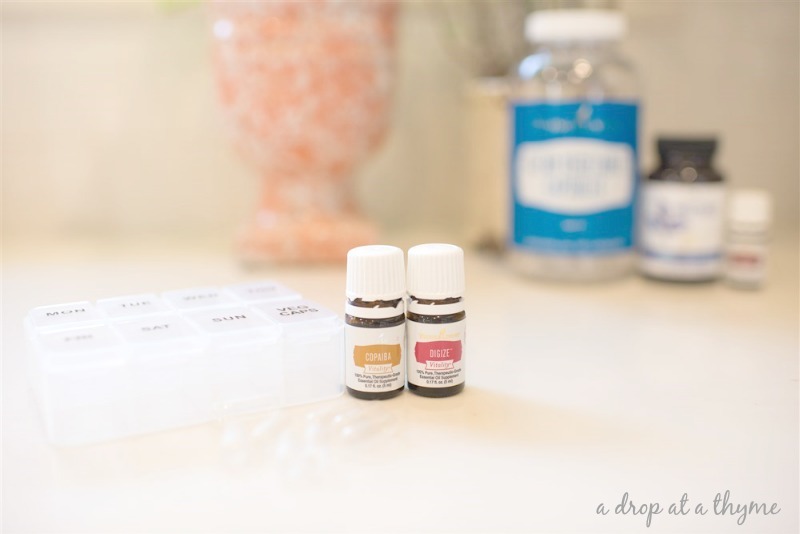 Put a few drops in a container with a roller top for easy application to your neck or kids’ arms and legs when needed. Make your own soothing bath salt by adding about 10 drops of PanAway essential oil to a cup of Epsom salt. Add a scoop of the bath salt to warm bath water and relax in a spa-like atmosphere. Combine with Copaiba to enhance the properties or Peppermint to give an extra tingly sensation. Copaibe & DiGize vitality are two of the ten oils in the premium starter kit. These are two oils you will be thankful you own–trust me! Copaiba Vitality helps the body naturally respond to injury and can enhance the properties of any other oil. It is calming and supportive to your digestive system. It is high in beta-caryophyllene. Don’t know what that is? I didn’t either. Google it: you will be glad you did. DiGize Vitality is everyone’s favorite because it works so well. It’s a blend of Tarragon, Ginger, Peppermint, Juniper, Fennel, Lemongrass, Anise, and Patchouli, which is the perfect partner to any meal. Combine Copaiba vitality and DiGize vitality daily, to provide amazing digestive support. You are so lucky to get these digestive powerhouses in your starter kit. Never leave home (or the country) without these two. Lavender essential oil is one of ten oils in the premium starter kit. It is one of our most versatile oils and has been nicknamed the swiss army knife of oils for its many uses. Lavender has a scent that’s a wonderful blend of fresh, floral, clean, and calm. It’s this dynamic aroma that has made the flower a classic for perfumes, soaps, fresheners, and beauty products. As one of our most popular products, Lavender oil is a great beginner oil and a must for every home. Imagine you’re sitting in a SPA, The music is a gentle instrumental piece. The lights are dim. You put your feet up and rest your head back. Take a big inhale and smell the Lavender in the air as it swirls around in your lungs. As you breathe out, a sense of peace comes over you and the weight is lifted off your shoulders. With a bottle of Lavender and a diffuser, you can turn your bedroom into a quiet tranquil SPA every night. With a diffuser and Lavender oil, you can experience this SPA moment every night. Before bed, rub a few drops into your palms, over the pillow, the back of your neck, and the bottoms of feet. 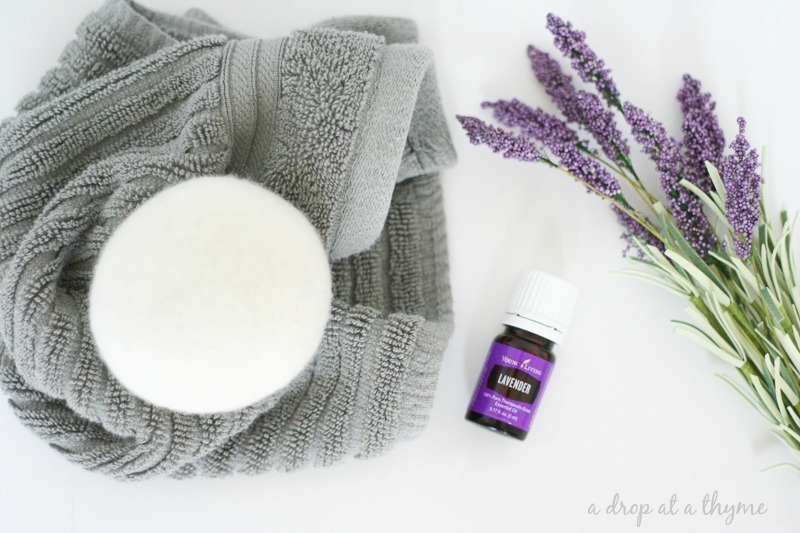 Add 2-3 drops to a dryer ball and throw it in with your clean laundry! Combine two drops each of Lavender, Frankincense, and Stress Away into a cup of bath salts for a keep calm bath combo. 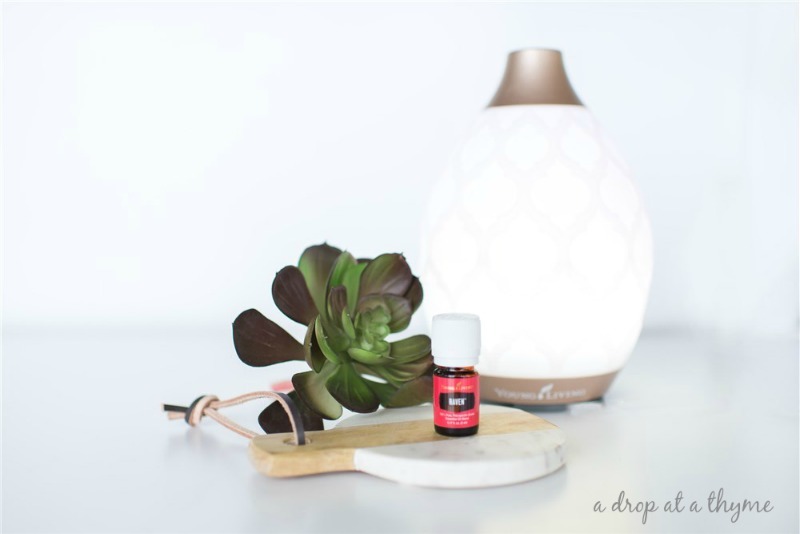 Put 4-8 drops in your diffuser to unwind after a long day. Use every night (or during nap time) to promote a restful night’s sleep, health, love, peace, and a general sense of wellbeing. Peppermint vitality is one of ten essential oils in the Premium Starter Kit! 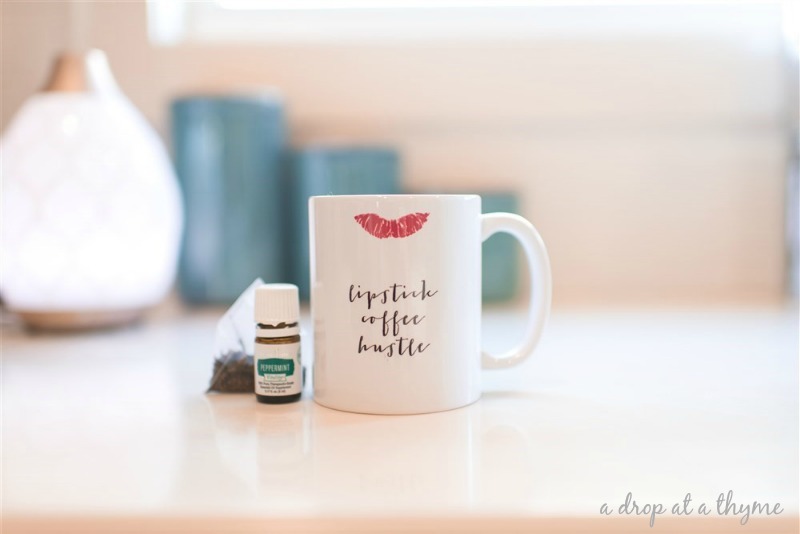 Peppermint Vitality essential oil has a bright, cool flavor, with benefits that include gastrointestinal comfort and normal digestion support, in addition to its great taste. As a dietary supplement, Peppermint Vitality oil can support healthy gut function and digestive efficiency. These benefits make it a great way to start your day or end a meal. Additionally, Peppermint Vitality oil as a dietary supplement may support exercise performance to help you have a great workout. Because of its great taste, it’s easy to add this versatile oil to your tea or experiment with it in your baking. It is also great for a afternoon pick-me-up, just place a drop in your water or tea. Apply a few drops to a capsule to help support occasional nausea and a healthy digestive system. Put a drop in your water bottle before exercise to support your work out. Put five drops in your next batch of brownies and everyone will come back for seconds. Stir into 16 – 24 oz warm/hot (drinkable temp) water and drink. Lemon Vitality is one of ten oils in the Premium Starter Kit! 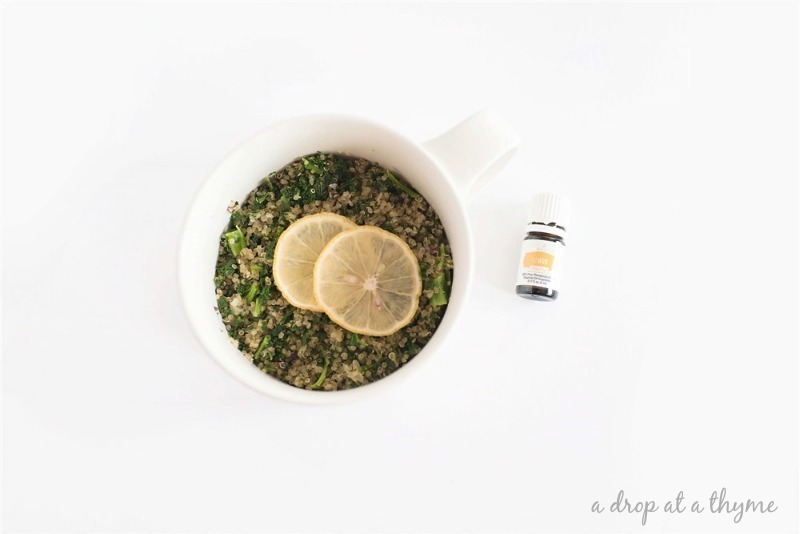 One of my favorite ways to use lemon vitality is by putting a drop of lemon in my water for a hint of flavor and a gentle detox. Lemon oil is cold-pressed from the rind, which means there is NO citric acid to damage your teeth/enamel. Starting your day with lemon water allows for a gentle detox to begin your day and can also help with an afternoon boost. Note that when adding Lemon Vitality to food or beverage, use glass, stainless steel, or ceramic dishes. It will disintegrate plastic and you don’t want to ingest that. You can also use lemon vitality to enhance vinaigrettes or marinades to add a flavorful taste to summer salads and grilling. Add 1 drop in plain or vanilla yogurt and top with fresh berries. Lemon vitality has saved me in the kitchen on many occasions when a recipe has called for a lemon and I’ve managed to forget to grab one while at the storm. Do you know someone who travels a lot or perhaps is at least traveling for Christmas? 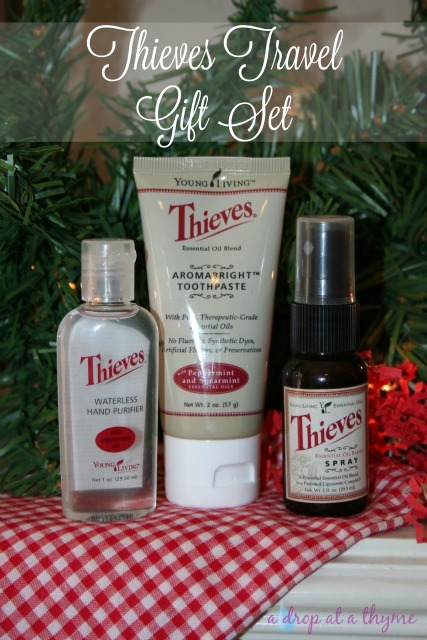 This Thieves travel set is the perfect gift for that person. These are items you would need regardless of how you travel, but especially if you will be traveling by plane. Seriously though, who couldn’t use these items? A travel size Thieves toothpaste to not only introduce them to non-toxic toothpaste but to also help them out. Please tell me I’m not the only one that forgets you can’t carry on anything larger than 3.4 oz? Shoot, that’s probably not even the right size. Thieves spray serves to be super helpful in flight and everywhere else. Toilets? Spray. Head rest? Spray. Blanket? Spray. Bathroom stinky? Might as well spray. Kid behind you just vomited (this one actually happened during my last flight)? Spray. Hand purifier also comes to the rescue after those in flight potty breaks or before they bring you a snack! I think this is such a great little gift for any traveler or a mom that is always on the go even. You could replace the toothpaste with lip balm if you want to gift it to a mom. Though I know plenty of people who also carry toothpaste in their purses or diaper bags. You might want to include a note with a handy little insiders info note letting them know that the toothpaste and the spray both double as deodorant! Who would you gift this trio to? 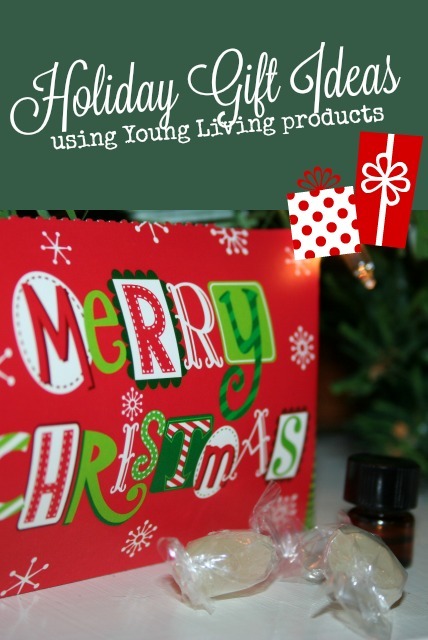 I want to be sure we talk about gift ideas in various price points as we share our Young Living products with others. So today, let’s talk about giving out Thieves samples! Who couldn’t use a little Thieves this time of year? Nothing like a little immune support right in time for the holidays! Perhaps this is odd or it’s just me, but sometimes I hate giving samples as gifts because it feels so cheap even though we all know the value is worth more than what it looks like. I’ve seriously skipped on giving someone an oil in the past because it looks like I didn’t spend that much on them. It’s a totally lame excuse so this year I’m focusing on packaging it up to increase it’s value and make others interested in what it is I’m sharing with them. 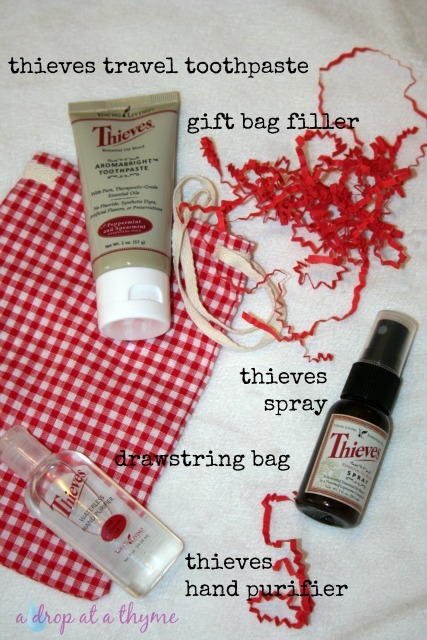 Be sure to also include a little guide with this sample as to how to use the Thieves oil. Personally, I love handing out the Oil Revolution Design small guides with items like these. 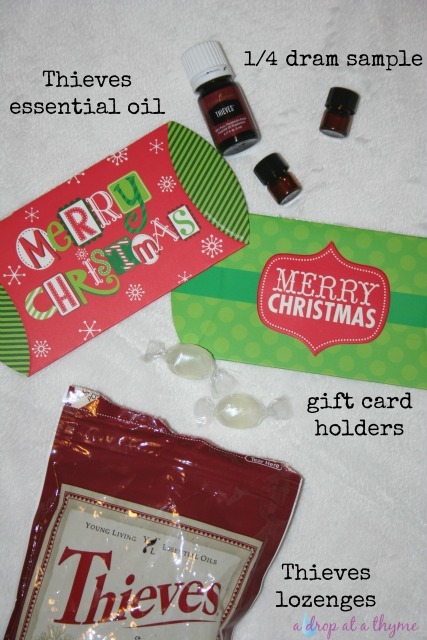 You could also just include a small note in the gift card holder giving them instruction use info like “Add 1-2 drops to water for immune support”. You could also attach a recipe card for a Thieves tea using Apple Cider Vinegar, Honey, Lemon and Thieves Essential Oil. 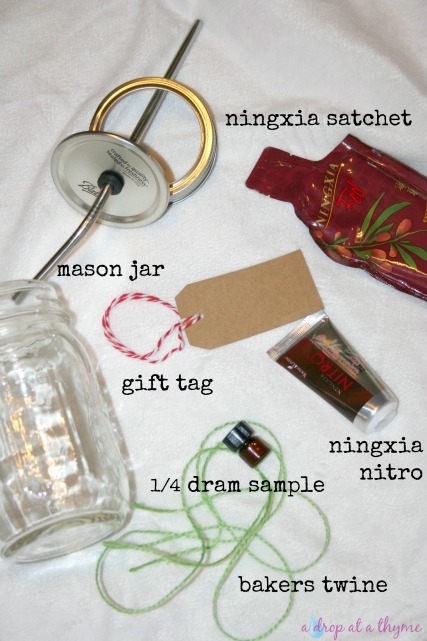 This makes the perfect gift for your neighbors or acquaintances, these samples shouldn’t just be given to close friends! This is a great way to introduce your business to people you are around on a regular basis, but haven’t shared your business with yet perhaps. 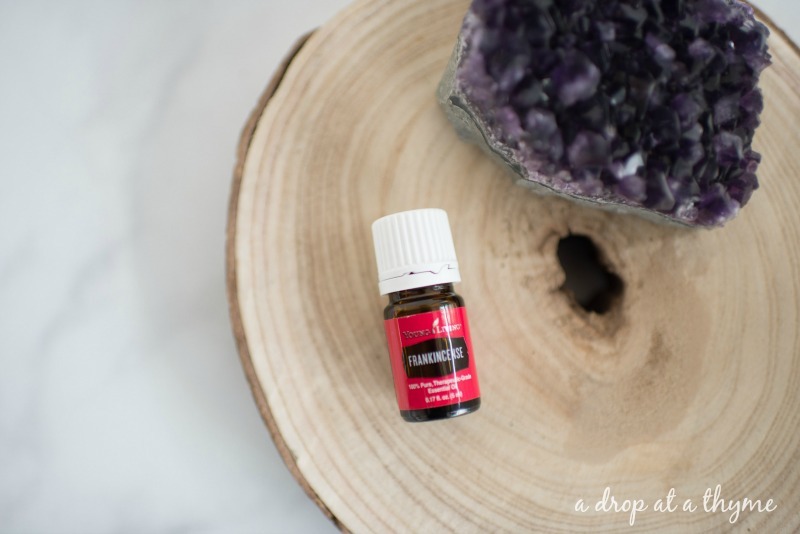 If you haven’t used these Thieves lozenges for yourself yet then do yourself a favor and order them–they are amazing! 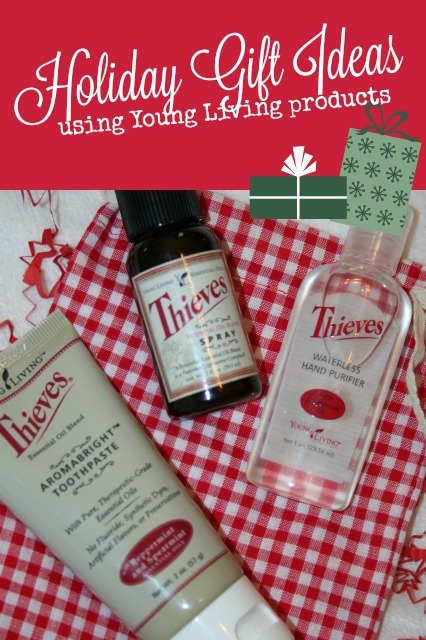 What’s your favorite way to use Thieves oil? Remember, it’s a dietary oil! 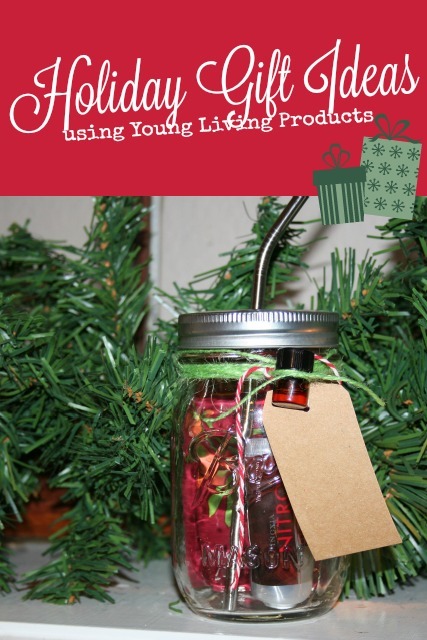 Christmas is around the corner so let’s come up with some creative gift ideas for your Young Living products. 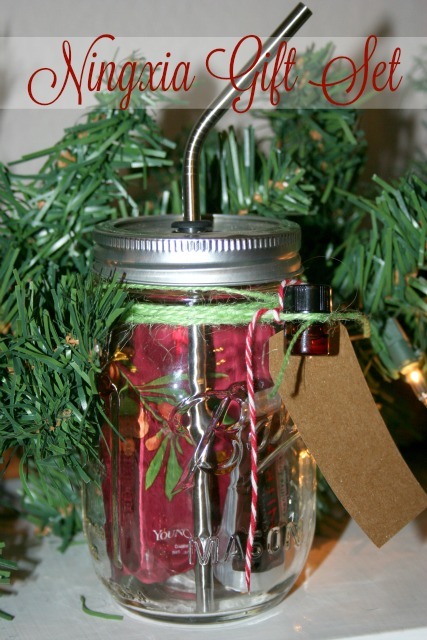 You love your products and you want everyone else to love them too so why not give them out for the holidays? 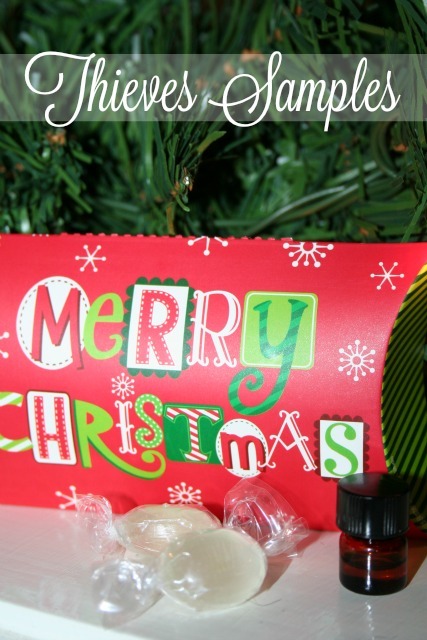 I’ll be sharing some of my favorite products and ways to gift them where they are super cute! Who said handing out samples had to be boring?! Not me! This Ningxia gift set just happens to be one of my favorite ways to drink my Ningxia and hopefully will soon be my friends favorite way too. So today, let’s tackle my favorite Ningxia drink! I take 2 oz of Ningxia, a Nitro and 2-3 drops of Lime and add to ice and water. Most days it’s just regular water but sometimes I do sparkling water or even better a Coconut La Croix. If you’ve been wanting your friends to try out Ningxia Red then I promise they will love this Ningxia gift set. You can change up the oil if you wish, but I personally love lime the most. Other oil ideas are Grapefruit, Orange, Lemon, Jade Lemon, Tangerine, Peppermint or Spearmint. What’s your favorite way to drink Ningxia? You may be reading this and thinking I’m crazy for waiting two years to start Whole 30, but hear me out. Shortly after being introduced to my new healthier lifestyle I heard about the Whole 30 plan. It sounded amazing as far as results go, but miserable as far as giving up cheese and creamed coffee. I was already concerned with my new lifestyle changes because I was using these hippie oils and watching for toxic chemicals in my home. I’d already gone off the deep end as far as I was concerned so making a HUGE diet change wasn’t happening for me. Friend after friend continued to check out the Whole 30 plan and I continued to be intrigued, but the baby steps I was already taking were frightening enough. I mean I had switched from whole wheat bread to whole grain bread with significantly fewer ingredients. I had switched to nearly everything organic that I could. I drank raw milk for crying out loud–like straight from a cow raw milk! I got myself on Weight Watchers to lose weight, but instead of being sneaky with fewer unhealthy ingredients I decided to actually learn how to eat good foods and lots of them since I could eat as many fruits and veggies as I wanted. 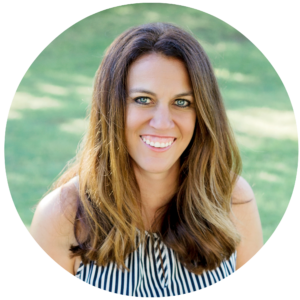 I turned to Gina from Skinny Taste for all of my recipes to survive Weight Watchers. I was feeling pretty good about the changes I had made but still the thought of Whole 30 overwhelmed me. I was making plenty of baby steps and was proud of them! The fact that our dinners didn’t consist of boxes or frozen lasagna was impressive enough. Let’s face it–I was drinking La Croix instead of Dr. Pepper, that’s HUGE! I’m a Texan after all. Then this summer I met a new friend and she asked if I had considered a diet change in regards to my infertility. My response was simply “I’ve done enough and if I want to do something drastic I’m going to need to have cancer or something.” This was yet again, another baby step and push I needed to even come close to considering more changes. This was the beginning of series of conversations regarding my diet and not that my diet is terrible, but there are things that could be eliminated that might surprise me. In fact, the same day this friend ask about my diet another friend was in the car, her mom a Naturopath. I’ve been considering going to see her mom about our infertility but knew diet was something she’d want to talk about and I’d made enough changes already and was frankly being stubborn. She’ll probably read this and be saying ‘yep and amen’ as she reads. I know full well that there are 3 things that I could eliminate that could turn my health around…gluten, sugar and dairy. Gluten? Not too bad. I mean we’ve practically taken it out of the majority of our meals any way so why not. Sugar? Okay, so I’ll be sad at first but I think I’ll get over it. Thankfully I don’t really love desserts and if I keep sugary snacks out of the house I’m pretty good. It will take some adjusting but I can do it. Dairy? Nope, can’t do it. I’ll die. What is it about dairy that I go weak at the knees for? Cheese needs to be on top of all the foods, all of them. Queso, quesadillas, tacos, cheese on top of chili, on sandwiches, by itself. Just give me all the cheese. No creamer?! Welp, there goes my coffee (thankfully I survived a month without it and know I won’t die). Milk? No big deal. Yogurt? No big deal. But the cheese, I’ll be dreaming about it for weeks I’m sure. So, if you are my friend and we hang out in the month of January please don’t eat cheese in front of me or I might accidentally stab you. So, why has it taken me two years? Why couldn’t I just pull myself up by my bootstraps? Well, for me, I like to take everything a step at a time (A Drop at a Thyme, remember?). So, I’ve managed to give up coffee once and didn’t die. I reduced significantly our gluten intake and am still breathing. I gave up Dr. Pepper mostly and still enjoy my life. But all these things had to happen one at a time for me. I couldn’t give up Dr. Pepper and rolls with every meal the same week. I had to get rid of one first and get used to it. Then the next and so on and so on. I had to get used to meal planning and actually getting said meals on the table. We used to dine out for like 70% of our meals so how was I going to go from dining out all the time to preparing meals, healthy meals for my family ALL the time?! It wasn’t going to happen. So here I am nearly two years later ready to make this bold for me change. I’ve been mentally preparing myself (and my husband) for this for a couple of months now. I didn’t really know when I would do it, but after running into a friend at the grocery store recently and seeing how amazing she looked and felt I decided to go for it. I’ve been pinning recipes to prepare myself and ordered the Whole 30 book. I will spend the month of December preparing myself for success and then January 1st I’ll dive in. If we’re friends, you may want to avoid me the first 5 days or so or offer me delicious Whole 30 approved “treats”. Do treats exist on Whole 30? I hope so! I’ll be sharing my journey with you on the blog (menu plan), instagram and facebook. Would love for you to join me if you dare. We can cry together over the cheese we can no longer eat. 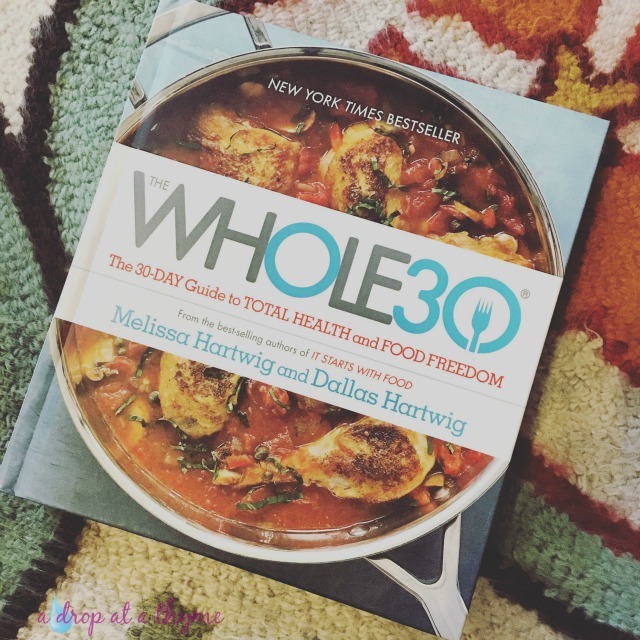 Have you done the Whole 30? If so, please share your favorite recipes with me and tips for survival!